Show me a woman that does not love accessories. They are like toys for grown-ups and inject some fun and glamour to an outfit. So it is no wonder that I have fallen head over heels for the latest addition to Yves Saint Laurent’s ‘Arty’ range. 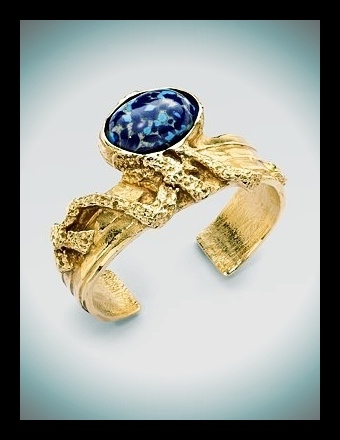 A gold-plated bracelet with deep blue glass stone is an immediate ice breaker. Combine with this seasons stylish prints and you will be turning heads every which way.